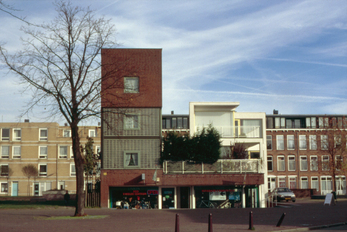 Two houses, two business accomodations and a parking garage on the Van der Vennestraat - The Hague. “but mr. Siza, why did you design this here, on this spot?" 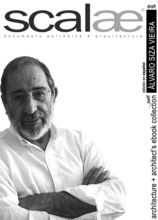 Siza:	"because it was the only place given to me." 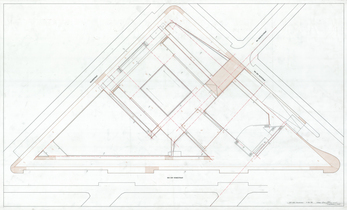 The plan exists of two houses, two business accommodations and an entrance to the parking garage ( the parking garage itself has, like the other entrances and the slope, not been designed by Siza, but coordinated with him, in view of the connexion with his project and the furnishing of the parc. Half deepened under ground-level are on a gallery the two shops and the entrance to the parking garage. One of the shops and the entrance to the parking garage are bringing with vides daylight until the bottom of the parking garage. On the shops is a plateau with two houses and a roof garden. The house in brick ("the flat-iron" is more closed towards the outside, but has within a surprisingly high and light hall, while the white house is opened towards the side of the Van der vennestraat and has a more horizontal organisation. The entire project, building and parc has been designed by Siza together with the parcdepartment in close relation with the environment. On the one hand considering the existing buildings by adaptation in scale and measurement in position and directions, on the other hand by the placing and connecting of a new quality: the parc. 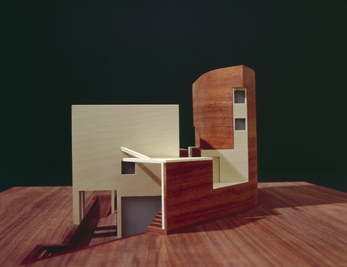 Design of building and parc are inseparable connected with one another. In the same critical way both houses are in proportion to each other: while one is white, smooth and modern, the other of brick and more closed, the closed house has white elements and the other way round. While both houses are lying in the parc as a stone rock, they have a roof garden near the green of the parc and the applied materials of brick and natural stone can also be found again in the parc. 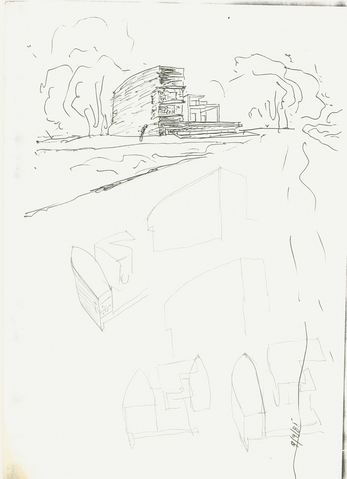 Siza's critical method leads towards an exciting and delicate balance of contrary elements. These differences have to be dealt with care. In spite of it, while building and parc were designed taking the view that the existing buildings would be maintained and that those facades would form the walls of the parc, the so much heavier and rougher facades of new building now replace them. The balance has been touched. 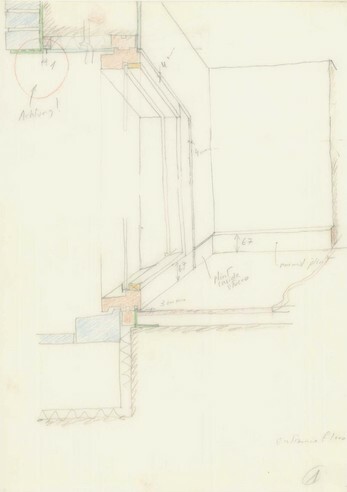 Siza's way of working goes beyond that of an accidental passer.by. He proposes a situation, a balance, in which a multitude of qualities can prosper. The by Siza staked game, asks a careful answer until the last detail.